Izium [Izjum]. Map: IV-18. City (2001 pop 56,000) under oblast jurisdiction and raion center in Kharkiv oblast, situated in a picturesque setting at the foot of Kremianets Mountain on the right bank of the Donets River. 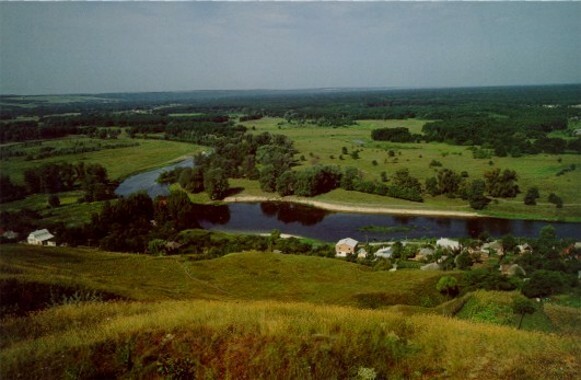 A settlement was established there in the second quarter of the 17th century; in 1681 it was fortified by Kharkiv regiment's Col H. Donets, and the fortress served as an important defense outpost against Tatar incursions. From 1685 to 1765 Izium was a regimental town in Slobidska Ukraine (see Izium regiment). It was a county town in Kharkiv vicegerency (1780–6) and in Slobidska Ukraine gubernia (1796–1835) and Kharkiv gubernia (1835–1917). Because of its importance as an industrial and commercial center between Kharkiv and the Donets Basin, it has expanded rapidly (1926 pop 12,000; 1959 pop 38,000; 1970 pop 52,000). Its plants produce optical equipment, machine parts, reinforced-concrete structures, construction materials, and foodstuffs. 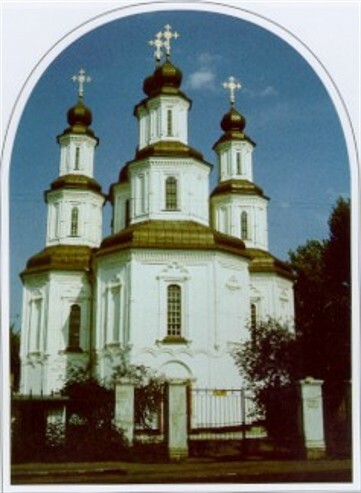 Among its architectural monuments are the Transfiguration Cathedral (1684) and Saint Nicholas's Church (1809–23).